ESD mats are able to dissipate static electrical charges from workers who are working around equipment that is charge sensitive. The chances of getting charges of static electricity on the body are high just from regular activity such as walking about and touching other people or items. These charges can destroy pcb circuits with only a slight touch from the unsuspecting worker. 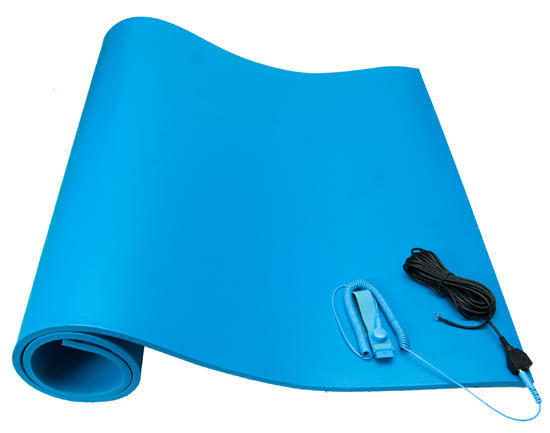 ESD mats are able to catch the static electrical charges and drain them from workers before they set about their work. Various sizes, lengths and thicknesses are available.